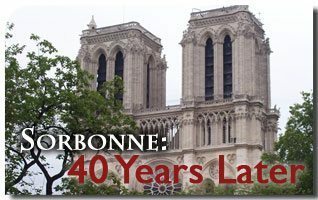 When the student riots began at the Sorbonne University in France in 1968, the advocates of this “cultural revolution” did not blush to admit they wanted to bring about the ruin of civilization as we know it. However, their vision of this catastrophe was enigmatic: “Soon we will have charming ruins,” they exclaimed in Paris. As if to demolish order would exude an ineffable perfume! We, the defenders of order, see this “charm” as nothing but fetid, chaotic, and anarchic. However, they hope that something will arise from this demolition. What is this something? The proponents of this immense revolution hoped to introduce new socio-economic structures adapted to this “new cultural environment.” The leaders of the May Revolution called it self-management. They proclaimed this new formula on billboards and shouted it out in slogans. If the “Cultural Revolution” could implement this self-management, it would firmly consolidate its seismic cultural change. 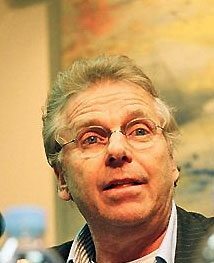 Daniel Cohn-Bendit, known as Danny the Red. This “turning life upside-down” can at first arouse the passions and get people excited since it promises unrestrained liberty. “Pleasure without limits” was a motto of 1968. “Invent new sexual perversions,” they shouted at the Sorbonne. This was done. We see the results in our daily news with its hideous crimes. However, since the “cultural war” was attempting to shape the human soul in an unnatural way, in the long term it would necessarily engender unfathomable spiritual unease. Sooner or later, people would ask whether this “cultural war” was worth it. They would long for the normality of an order and a civilization inspired by centuries of Christian principles. What was needed was for the world to be straight-jacketed into an oppressive universal regime called self-management, otherwise nothing would be accomplished. If this could be implemented, the “Cultural Revolution” would have succeeded in establishing itself in an irreversible, crushing, and dictatorial way. Thus self-management was in fact the most daring and radical realization of communism, as envisioned by the communist ideologues themselves. However, this was the secret of only a few. 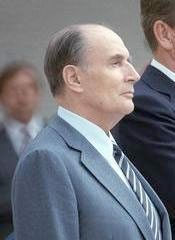 In 1981, François Mitterand became president of France using the symbol of a fist holding a rose: the rose of the new self-managing socialism. Prof. Plinio Corrêa de Oliveira — founder of the Brazilian Society for the Defense of Tradition, Family, Property — understood what was happening and denounced this self-management ploy as being none other than the successor of communism. In his historical manifesto entitled “What does Self-Managing Socialism Mean for Communism: A Barrier? Or a Bridgehead,” Prof. Corrêa de Oliveira minutely analyzed the self managing strategy of French socialism. The “Cultural Revolution” followed its course without the backing of the sociopolitical system that would stop society from turning back. It advanced like a plague and established all manner of contradictions in everyday life that caused a crystallization. The libertarian fervor began to cool and the opposing forces gathered momentum. Thus a colossal paradox was formed. On the surface, the “cultural” wave created by May 1968 triumphed as the “cultural revolutionaries” entered government and leadership positions. Underneath, within the depths of public opinion, germinated a conservative backlash that wanted to stop this crazy “cultural” agenda. A clash was inevitable. Abortion is a typical case. In the seventies, the feminist demonstrations in favor of abortion were overtly obscene and blasphemous. Today they have quieted down. 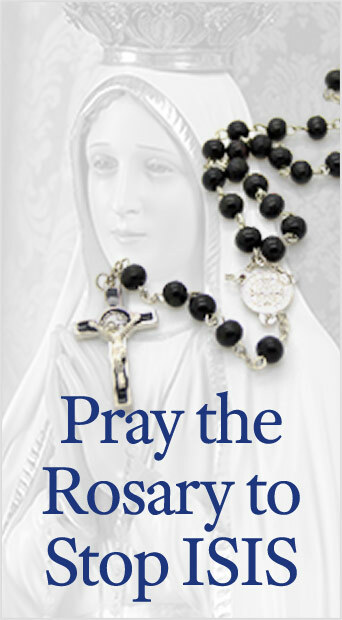 Today, there are demonstrations against the practice of abortion, pushing for limiting or abolishing the massacre of the innocents altogether. A gigantic anti-abortion demonstration takes place in Washington, D. C., during the month of January (aprox. 200,000 people in 2008). Other similar demonstrations take place in Europe and the Americas with a great percentage of young people participating. The abortionist wave, until recently so aggressive and certain of victory, no longer can match this militancy. The United States is considering ending legalized abortion. At the same time, many states there have adopted restrictive legislation that practically prohibits this homicidal act. Prof. Corrêa de Oliveira showed how, behind a mask of apparent moderation, self-managing socialism à la Mitterrand aimed at establishing in France the revolutionary utopia of a classless society. This utopia was presented as the natural outcome of the 1789 and the 1968 revolutions. The manifesto further forewarned that it was Mitterrand’s intention to put the prestige of France at the service of this utopia. The six-page manifesto was published in major newspapers in 52 countries with a total of 33.5 million copies. In France, the socialists did not dare to contest it, but nonetheless banned its publication there. Not one major French daily dared publish it, even going so far as to break a publishing contract. The result was that Mitterrand abandoned his new project without giving any explanations and self-management was not implemented in France. The “cultural revolutionaries” established in governments and international organizations have no intention of stopping. They have gone part of the way and will not stop on this road towards the abyss. The case of so-called homosexual marriage is also indicative. In the United States plebiscites have eliminated them from the majority of state constitutions and legislations. Popular resistance against these “marriages” (condemned by Scripture) has increased. The conservative reaction is showing its muscle. Against the people and their will — sovereign in democracies—the “cultural war” inspires legal decisions and ideological agreements from judges they have conquered. The people of California rejected this form of “marriage” in a referendum, but the legislators tried to fool the electorate with a new law. The governor vetoed it. The State Supreme Court approved it under the pretence of a “constitutional interpretation.” The defenders of the family were able to obtain a second victory in a referendum to change the state constitution. The American TFP published a extensive and documented study defending Catholic moral law against such “marriages.”3 The fight wages on. 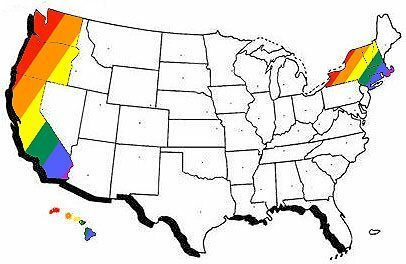 The states that have laws friendly to homosexuals. In Italy, the left wanted to slip through this anti-natural “marriage” under the guise of civil unions called DICO (“Diritti di coppie conviventi” or “Rights for Cohabiting Couples”). More than one million people opposed this attempt on Family Day. Such numbers have never before been seen at any demonstration. The proponents of DICO were only able to gather a few thousand people for their counter demonstration. Not only did DICO not pass, but shortly thereafter the left suffered a smashing electoral defeat at the national level. The new mayor of Rome does not hide his extreme right past, and this tendency is fast growing based on principles that counter the “cultural war” such as family, repression of crime, and the preservation of Catholic influence in an Italy now threatened by Muslim immigration. 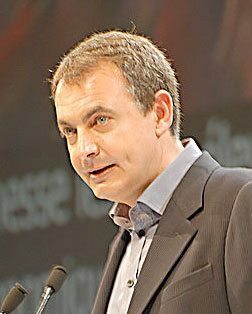 In Spain, the socialist government led by Prime Minister Zapatero was overanxious to incorporate the most daring sexual innovations of the “Cultural Revolution” into law. He got what he wanted with the complicity of the political world, but he stirred up popular demonstrations that put millions of people on the streets. Anaesthetized by decades of centrism, Spanish conservative current of opinion in favor of the family and of life, and against “homosexual marriage,” is growing in leaps and bounds. Even members of the Spanish episcopate, who normally have tended to prefer dialogue and to accommodate the “cultural revolution,” showed up at these demonstrations. Will the “cultural war” end with this? No, and it has fought back with new provocative actions. Even the glorification of the transgressor and demonization of police action has declined. There is now a universal clamour for more security, more policing, more measures against drug dealing and crime. In France it is now common for some ex-68 activists to declare themselves favorable to greater police action against drugs, gangs, and anarchy in schools — in short, against the false “liberties” they demanded back in 1968. In this same country, the government, political parties, and the media promised to stop moral values from entering politics. It was like trying to build walls of sand against the tide. The ultimate humiliation as regards “Cultural Revolution” is now clearly manifest in France. Sarkosy was elected after promising, “I want to turn the page on May 1968.” He wanted the electorate to give its opinion on the following issue: “If the legacy of May 1968 should be perpetuated or if it should be buried forever.” He won the election by a wide margin. Once elected, he did not fulfill what he promised and wrought many scandals, to the point that Daniel Cohn-Bendit pointed him out as an example of the idealist of 1968. Thus the “Cultural Revolution” can only advance by political tricks and moral and political debasement. How long will the world remain thus divided? Moral resistance is on the rise, as is the befuddlement of the adepts of “cultural inversion.” These adepts have not given up, however. In Europe, the leaders of the European Union rush through the European Constitution, disguised as the Treaty of Lisbon. The French and Dutch had already rejected it in well-publicized referenda in 2005. Because of this, the leaders of the EU wanted it approved without having to consult public opinion. They almost achieved it—until Ireland, where a national referendum is required, complicated matters. Due to the efforts of several associations working together—such as our sister association, the Irish Society for a Christian Civilization—the No vote won easily, with 53.4% against the Yes’s 46.6%. It was a victory for Christian civilization, since the treaty would have imposed abortion and “homosexual marriages.” As a result, Europe should not have to accept the Treaty of Lisbon, because if the leaders of the EU respect the rules of democracy—though many Europeans think they will not—the insidious Treaty cannot be implemented. This is a good example of resistance to the “Cultural Revolution” undertaken by a few to defend the last remnants of Christian civilization. Here we have the modern struggle: on the one hand, the “Cultural Revolution” leading mankind to apostasy through loss of moral and religious sense; on the other, the resistance, certain of the final victory because it fights under God’s banner. Le Livre Noir de La Révolution Française, Éditions du Cerf, Paris, 2008, p. 767. Folha de São Paulo, 4/5/08. The publication of the American TFP titled “Battling for America’s Soul: How Homosexual ‘Marriage’ Threatens Our Nation and Faith—TFP Urges Lawful and Conscientious Resistance” was published on 6/5/08 in three big dailies: The New York Times, The Los Angeles Times, and The Washington Times. 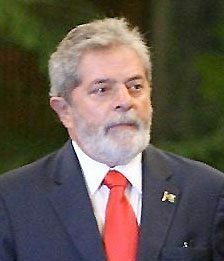 O Estado de São Paulo, 11/5/08. This entry was posted in Fighting the Culture War and tagged 1968, anarchic, Christian, Cohn-Bendit, communist, Cultural Revolution, Danny, dictatorship, Family, France, homosexual, human, intellect, liberation, marriage, Mitterrand, natural, principle, red, resistance, revolution, self-manage, sixties, socialism, Sorbonne, university, utopia, Zapatero by Luis Dufaur. Bookmark the permalink.